Jennifer Fox spoke to IndieWire about "The Tale's" six-year writing process, how it changed, and who it's for. Jennifer Fox wants you to see “The Tale.” While most writer-directors are invested in finding an audience for their picture, Fox’s motivations are deeper. The new HBO film isn’t just her first feature as a writer and first scripted film as a director; it’s her own story, crafted (and re-crafted) while she was living it, and meant to help the world understand the complex nature of childhood sexual abuse — abuse she experienced first-hand. “The Tale” focuses on Jennifer (Laura Dern), a documentary filmmaker who’s forced to reassess an adolescent relationship with two coaches, a horse riding instructor named Mrs. G (Elizabeth Debicki) and her friend and track coach, Bill (Jason Ritter). Decades later, her mother (Ellen Burstyn) finds a letter Jennifer wrote as a kid detailing the events, and pressures her daughter into examining her past by interviewing old friends and delving into her repressed memories. Fox’s desire for the film to be seen is why “The Tale’s” main character isn’t a veiled version of herself — hiding behind a different name or a similar profession — but a filmmaker named Jennifer Fox. It’s also why she sold the film’s distribution rights to HBO after its Sundance premiere, instead of seeking out a more traditional theatrical release. “Frankly, some people really felt they preferred to watch this film at home […] rather than a big cinema experience because it’s so emotional,” she said. Fox spent over a decade developing the project from a draft she threw away in her 20s to a 250-page edition that was eventually whittled down to the existing film. From there, with her mother pressuring her to find her abusers, Fox went on a journey that viewers will recognize in the film: She interviewed old friends who remembered what happened, as well as her mother and her partner at the time, who’s now her husband. Fox transcribed those conversations to preserve the discovery process, and she even sought out her coaches to see what they had to say. A lot of what Fox said she discovered plays out in the film: Though originally she thought she was the same person she was when she was 13, Fox said she realized “that 13-year-old would hate me now.” That led to scenes in the movie where the adult Jennifer would be yelled at by her younger self (played by Isabelle Néllisse). She also remembered, at the time, she felt old enough to handle an adult relationship, which resulted in one of the film’s most jarring moments: when Jennifer thinks she’s older than she was when she was abused. After seeing an older, more developed young woman at first, she disappears and a much younger girl is introduced. “The Tale” is so unflinchingly honest, some viewers may be surprised there are no closing titles to explain what happened to Bill or Mrs. G, Jennifer’s abusers. The film echoes its creator’s wishes. It’s not structured around a courtroom battle or even an arrest. 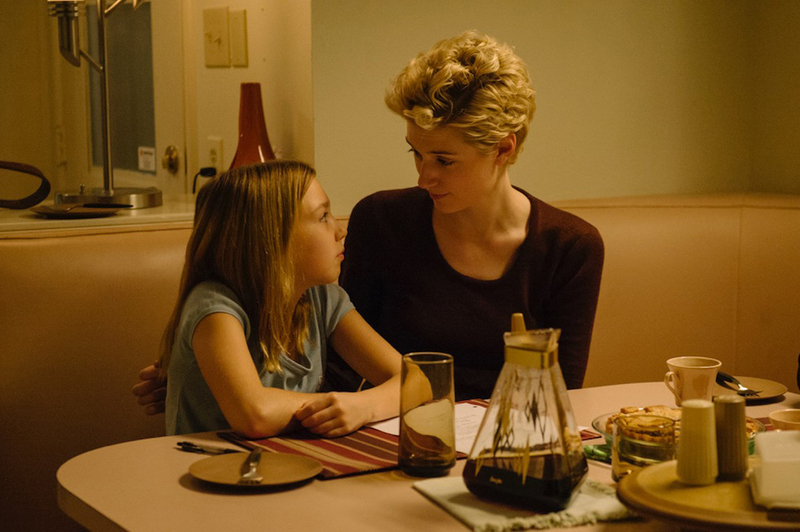 “The Tale” is meant to start a conversation, and that’s exactly why Fox wants it to be seen. “The Tale” is streaming now on HBO. Visit the film’s website for more information on screenings, ways to engage with the film — including discussion packets for public and private viewings — and to make a donation toward the film’s global outreach and impact campaign.